Plants change lives. At least, that’s what sophomore Olivia Howell believes. The biology and biochemistry double-major spends her free time finding her roots (literally) by volunteering for the Druid City Garden Project. Howell first learned about DCGP during Get on Board Day her freshman year. Amidst the hundreds of clubs, student organizations, and community involvement opportunities advertising themselves, she perused a flyer for the non-profit and decided she should get involved. An avid gardener in high school, Howell was drawn to the idea of continuing her passion in Tuscaloosa. DCGP is a locally run non-profit that aims to create a network of school gardens in the Tuscaloosa area. These gardens build healthier communities, engage students in learning, and increase access to sustainably grown food. 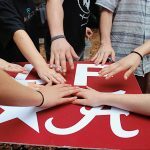 Through four distinct programs, the project aims to reach various aspects of the community structure to make the entire state of Alabama a healthier place. There are gardens in ten Tuscaloosa area schools, and even one in the Tuscaloosa County Juvenile Detention Center. The project partners with the Honors College through two University Honors designated classes—Let’s Grow! (UH 120-020) and Leaders in Let’s Grow (UH 405). These classes offer course credit for involved students, but there are other opportunities for students to volunteer without taking a course, either on a regular basis or on special event days. There is also a “Wednesday Weeders” program where volunteers play a key role in maintaining the gardens. Howell volunteers as a student leader and feels fortunate that DCGP works around her busy student schedule. She assists the DCGP instructors implement their curriculum, which is individualized for each garden. “If they plan activities to coordinate math with the garden, I’m there to help students actually measure the plants,” Howell said. The garden is an experiential teaching tool that connects students directly with their food source in a carefully prepared academic setting. She works with the same classroom over the course of the semester, allowing her to grow in her relationships with the students. Sustainability is key with DCGP; healthy lifestyles are built with strong support from the teachers and student leaders. Howell finds the most reward through the subtle attitude changes within her students. They start to feel their own sense of agency within the garden and invest emotionally with their creation. 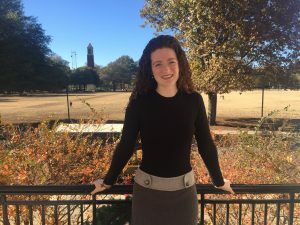 DCGP has allowed Howell to involve herself with the Tuscaloosa community outside of the university, a perfect example of the Honors College value of civic engagement. 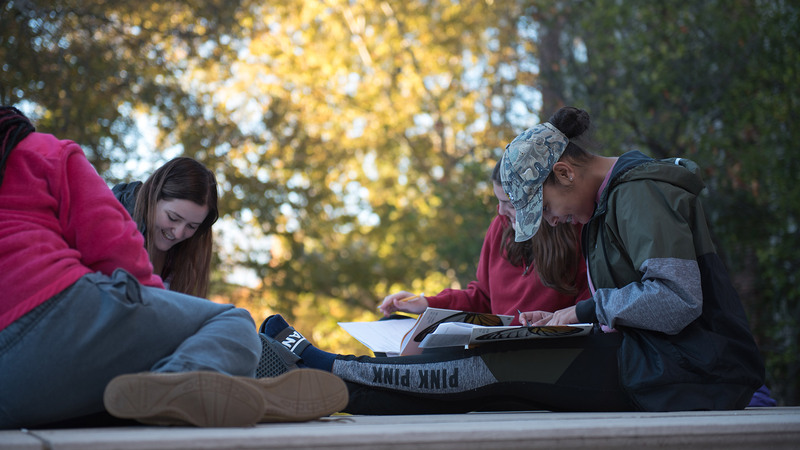 Individual student research will be informed by studies of historical and contemporary environmental movements, issues, and philosophies, and through seminal texts, films, and ecological studies. 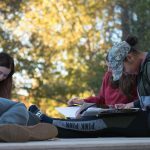 Students will also explore producing photographs, non-fiction writing, and short films that represent their environmental research and advocacy projects.